Why are Fewer Black Women Interracially Dating than Black Men? The subject of interracial marriage is at the forefront of many studies today and continues to be ingrained with much controversy. According to the PEW Research Report (U.S. Census Bureau’s 2010 American Community Survey) only 4.6% of married black women married outside their race, while in contrast, 10.85 of black men married outside their race. The least prevalent interracial mix is black women married to men of Asian descent, making up only two percent of the Census Bureau’s report on mixed race marriages. Although black men dating white women has become widely accepted, especially in celebrity matches, there are still some who consider such unions as a discredit and a disgrace to the black community while many black women are still raised with the understanding that marrying outside your race is taboo. Cultural beliefs contribute much to the difference in percentages of black male interracial dating and black female interracial dating.Throughout history, many cultures considered marriage outside your race a taboo; especially for black women.Most cultures relied on the women to keep the bloodlines strong and their race growing. Segregation played a major role in the abolishing of any interracial relationships with the constant threat of punishment by death as a constant reminder. With the enactment of the 1964 Civil Rights Act, much of these threats were removed, but there are still the hate groups whose targets are generally the women and children, thus creating an ingrained sense of distrust in many black women. Equal opportunity laws and fair labor practices have helped black men to climb the economics status ladder in leaps and bounds. They appear to be more comfortable dating outside of their race then the black women, which contributes to the black woman’s Shrinking Violet status. Religion also contributes to the consideration of an interracial relationship. Statics show Catholics have a larger percentage of interracial marriages then Protestants. This is widely attributed to the diversity of the Catholic population, and the fact that they choose their parishes according to geography rather than ethnicity. The difference is especially noticeable in the Midwest and Western states. Their early influence was Wesleyan and German Protestant. Protestant continues to be the dominant religion among the white, Western population, further limiting the chances for socialization among black, non-Protestant women. The black woman’s role in society grew more slowly than the roles for black males. Taking the leap to interracial dating often means putting aside religious and ethnic differences, which traditional black women find difficult. It’s a leap of faith. Even among non-traditional black women, there are constant and painful reminders that they are understood only as stereotypes, and that swirling is meant for black men and not black women. 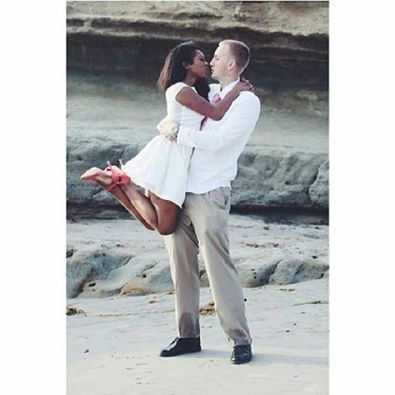 This entry was posted in Black Women White Men Dating Tips, interracial dating advice, mixed race dating on September 20, 2017 by admin. Interracial Dating In Australia—What Are the Options? Is black women white men dating At Work Accepted? Albert Nanabray on Interracial Dating In Australia—What Are the Options? admin on Is black women white men dating At Work Accepted? Elizabeth on Is black women white men dating At Work Accepted?